Singh will take part in an interactive session on the current state of the economy with businessmen and traders during his visit. 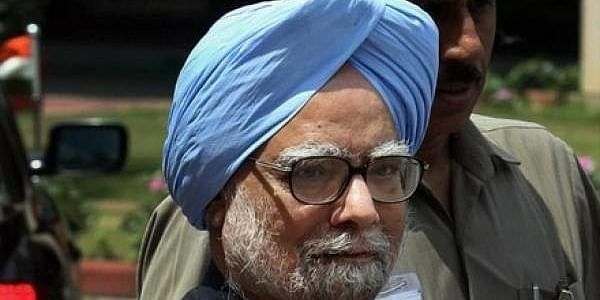 AHMEDABAD: Former prime minister Manmohan Singh will address small businessmen on GST and other issues and also address the media tomorrow here to boost the Congress's prospects in the Gujarat elections. Singh will take part in an interactive session on the current state of economy with businessmen and traders during his visit, the Gujarat Congress said in a release. His visit comes a day before Congress vice-president Rahul Gandhi's likely tour of Surat as the Congress marks the first demonetisation anniversary on November 8 as 'black day'. The session has been organised at the Sardar Patel Memorial in Shahibaug area in the morning, the party said. After the event, the Congress leader will address a press conference at the state party headquarters, it added. The former prime minister is visiting Gujarat at a time the state is witnessing a heated campaigning for the assembly polls. Rahul Gandhi has already toured the state multiple times in the last few months and addressed a number of rallies. The note ban has been a recurring theme of Gandhi's speeches. It is expected that the economist-politician would touch upon various aspects related to note-ban as well as the implementation of GST and its impact on the economy during his interaction with the business community. Gjarat, the home state of Prime Minister Narendra Modi, goes to polls on December 9 and 14.